Happy Friday, my friends! It’s Podcast Day, here at the Geek Cave! That’s right, the hits just keep on comin’, as I am getting back into the swing of things with this here casting of the pods! This week’s guest is a fellow podcaster, whom you might have heard of before. He’s been the heart of the Obsessive Viewer Podcast for the last four years, he’s done panels at local conventions about solo podcasting, feeding off his experiences with the Anthology Podcast, and now he’s got another podcast, based on the works of Stephen King, called Tower Junkies! That’s right, my friends, it’s Matt Hurt! 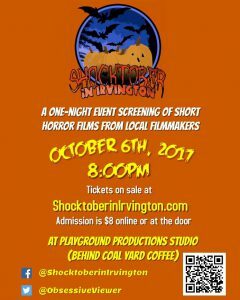 This week, we’re going to talk juggling podcasts, some tips for new podcasters, and the podcast’s yearly event, Shocktober in Irvington! So, sit back, be prepared some some bad puns, and let us fill your earholes with close to an hour and a half of talking! 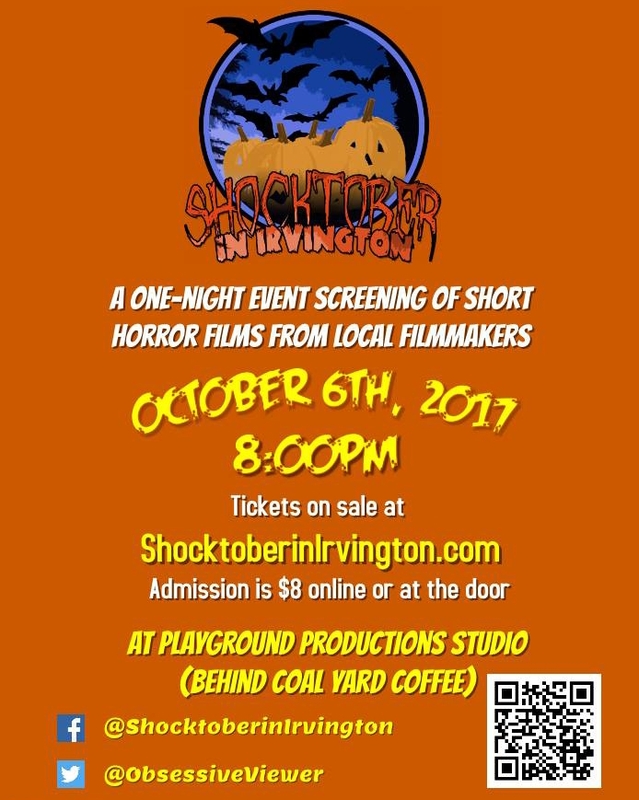 Pay attention, because we might just be giving away a pair of tickets to Shocktober in Irvington! Details not mentioned: Runs until 9:00 AM Eastern, Thursday, 10/5/2017. Remember, comment to win free tickets! Listen to the show to find out how! Runs through 10/5/2017! And the contest is closed! Thanks, to everyone that entered!